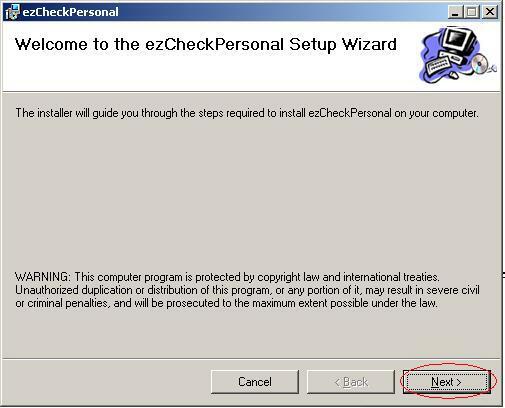 You are welcome to try ezCheckPersonal for free with no obligation. No credit card is needed. The download trial version will print TRIAL image on checks. You can purchase license later to remove it. You can scroll down to view the step by step guide below or contact us. If your machine does not have .net framework installed by default, you may see such message ".net framework version x.x is required." You can install .net framework 3.5 from Microsoft site to solve this issue. This software can run on both 32-bit or 64-bit machine. This software is compatible with Windows 8.1. 1. You need to login as administrator of local machine. 4. Please feel free to contact us if you need any help. We suggest user restart computer after installation. Otherwise, the font on your check may not display correctly. Step 1: Click the "DOWNLOAD NOW" above and save update package to your local machine. Step 2: After download completes, click Run button to start installation process. step 3: start this installation. Our software can run on Windows 10, 8.1, 7, Vista and other Windows computers. step 4: Following the instructions on screen to continue installation. 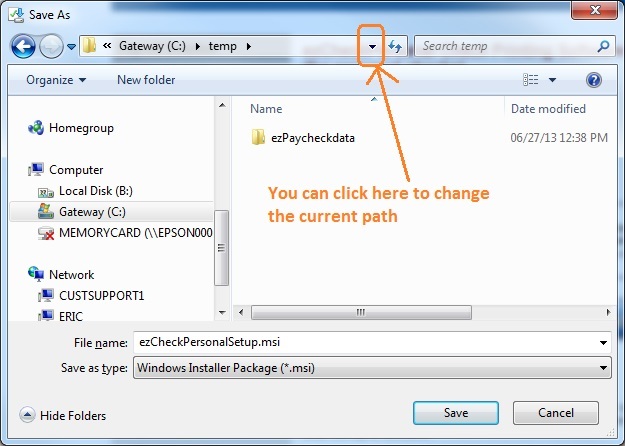 After installation is completed, the shortcut will be created on your screen. Step 5: Set up bank account and print checks.